As students return from winter break with resolutions to join a new club or organization, many flock to Grand Valley State University’s Campus Night Life, which was held in the Kirkhof Center on Friday, Jan. 11. While the event featured many of GVSU’s 400+ organizations, just as the fall semester’s Campus Life Night did, many organizations came into the winter event with different goals. Kaitlyn Richardson, Vice President of Student Technicians and Actors Guild for Entertainment (STAGE), said that recruitment is a common goal for organizations, but STAGE aims to both share information and club pride. The key step in doing so, Richardson said, is putting yourself out there and engaging with students. 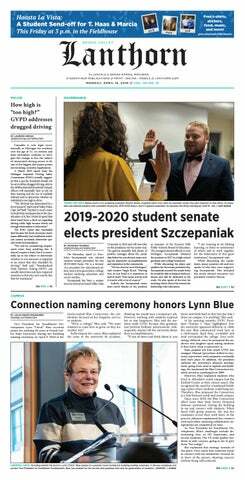 Student Senate Vice President of Campus Affairs Carter Engler said that senate usually attends the first Campus Life Night to encourage new voices to join empty seats. This time around, Engler said that there are less seats to fill, so their goal is to connect with as many students as possible to better represent the student body. Members of Alpha Kappa Phi, a co-ed academic business fraternity, took a different approach to the night, with Vice President of Finance Janique Giles saying that the goal of her smaller fraternity is to make their mark. Being a lesser-known fraternity on campus that is open to anyone, she said that letting students know the fraternity exists it the main goal. Somers said that Campus Life Night shaped her club experience at GVSU, so she tries to provide the same experience to those in attendance. Members of Global Citizens, a club that “advocates for sustainability through education and economic sustainability” said that Campus Life Night provides them with an opportunity to support more refugees, President John Bancheri said. The club, which travels to the Refugee Education Center in Kentwood, is in dire need of more volunteers to support a surge of refugees. Regardless of why students and organizations attend Campus Life Night, Engler said it’s a treat to have an event like it on campus.